Welcome to Oso Grande's 11th Annual Jog-a-Thon! This is one of the largest and most important fundraisers at our school. Proceeds raised through the Jog-a-Thon will go toward funding school-wide PTA programs such as science labs and instruction, primary music, technology, grade-level field trips, Meet the Masters, enrichment assemblies and campus improvements. Jog-a-Thon donation collection is automated to make fundraising quick and simple. Each student has his/her own webpage where friends and family can donate funds in each student's name. Be sure to share your unique webpage with friends and family to build your donation collection! All students are listed by last name and first initial only for security purposes. Amazing prizes will be awarded to top student donation collectors! Prizes will be given to the TOP 6 INDIVIDUAL STUDENTS who collect the most donations, the TOP COLOR TEAM and the TOP CLASSES PER GRADE! You can track collections on our website! 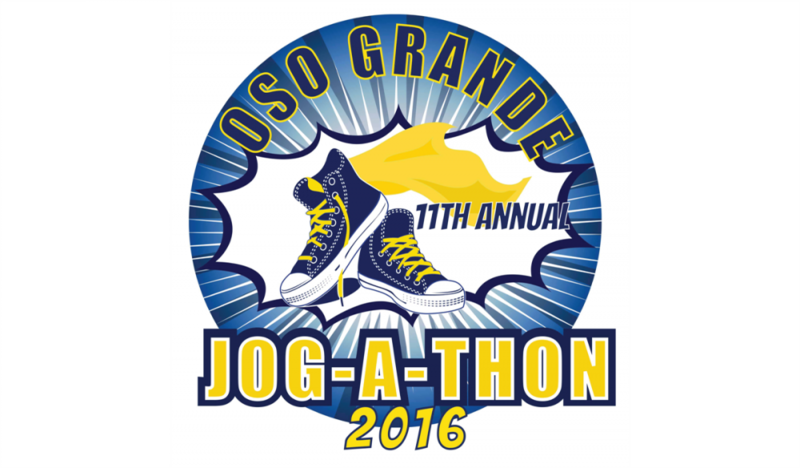 Thank you for supporting Oso Grande's 11th Annual Jog-a-Thon!